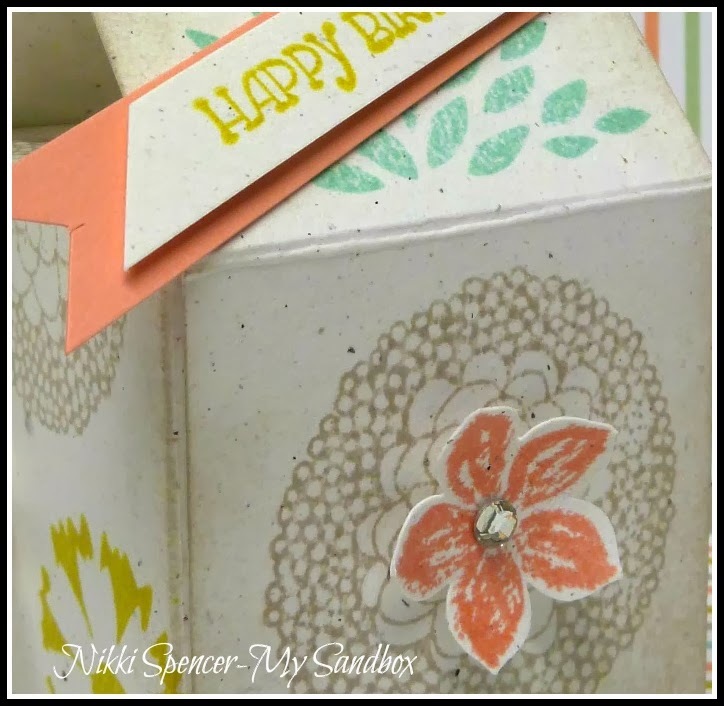 Just Add Ink #204....Colour Challenge! 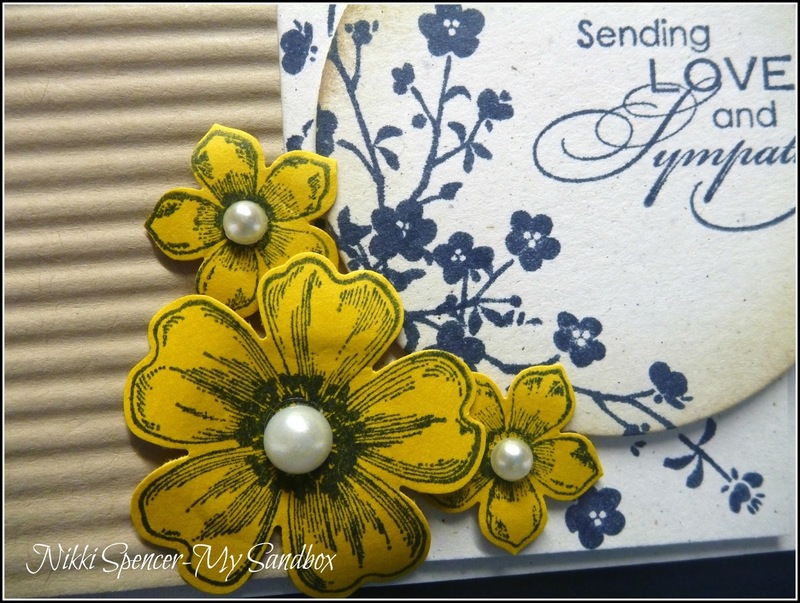 Well that's February done and sadly that means goodbye to summer for another year. 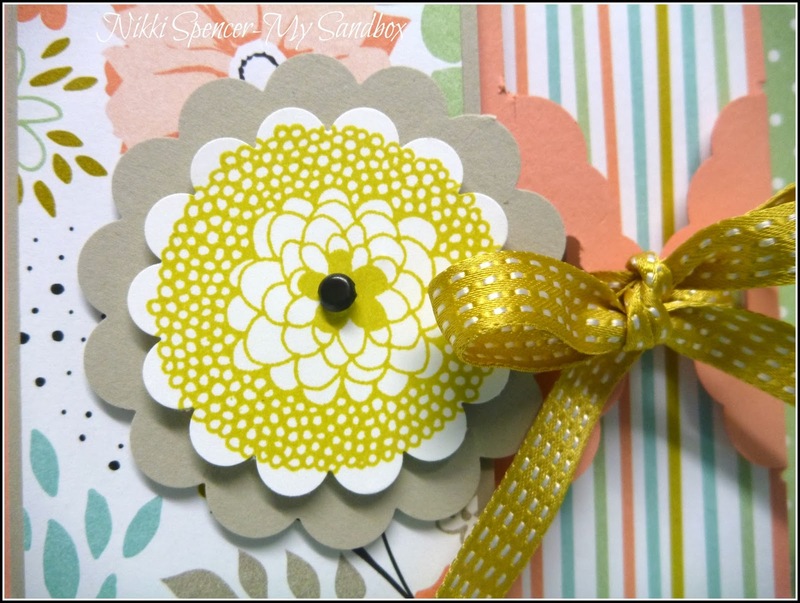 But l do love Autumn, as we still get some lovely warm days and the vibrant colours, which makes a lovely change from the crisp dry landscape we've had this year!....and it's also time for another Just Add Ink challenge and this week it's some pretty colours, that l think would work well for most styles. 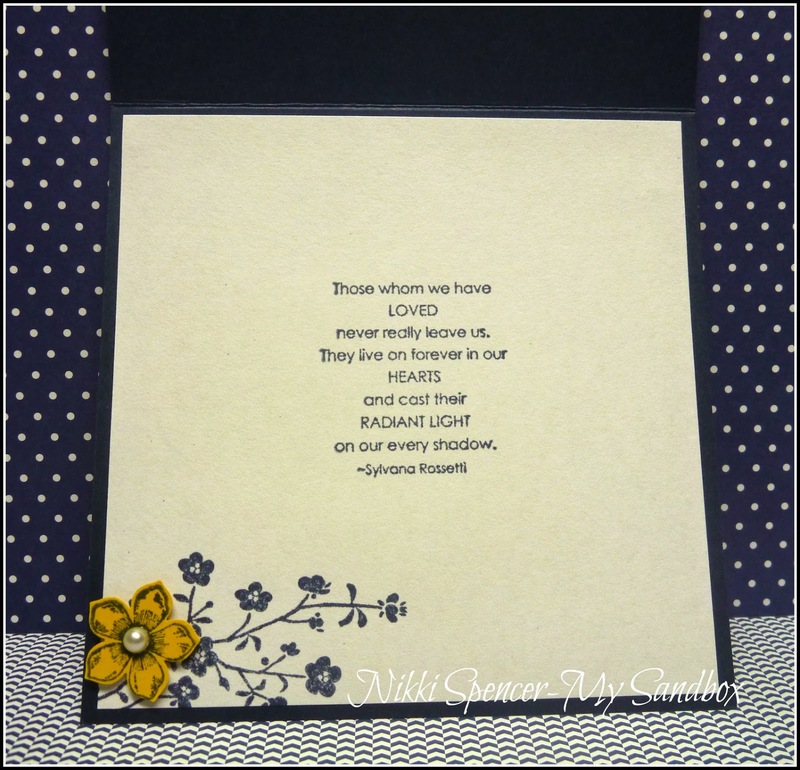 The DT have used them beautifully and provided heaps of lovely inspiration. 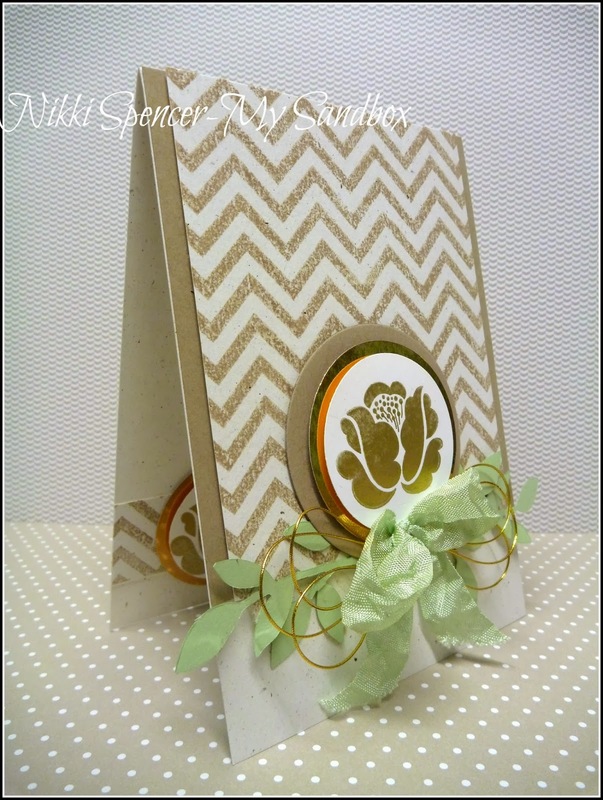 Here's what l came up with using the Chevron background stamp, Gold foil cardstock, the Simple Stems set and the Encore Gold ink on Naturals White cardstock. 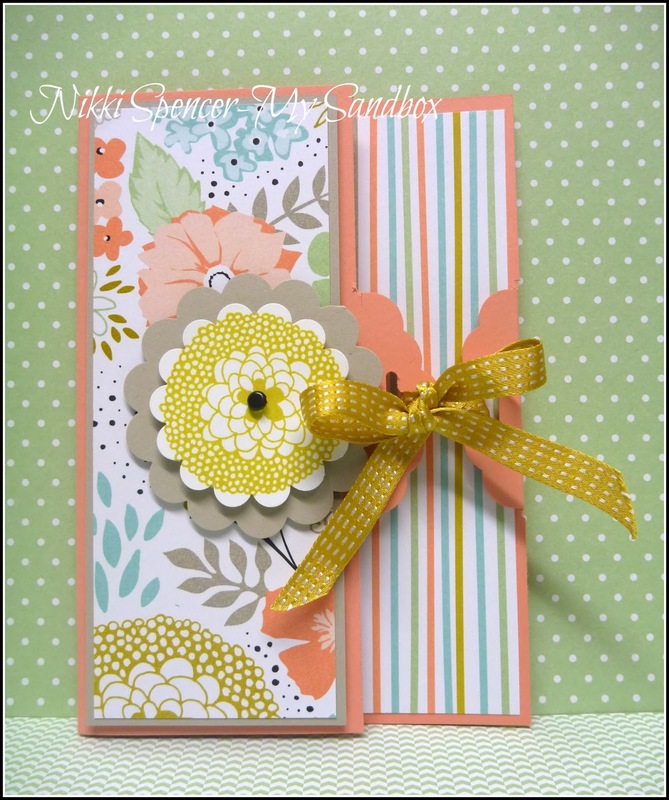 I used some Pistachio Pudding Reinker mixed with water in a spray bottle to dye my seam binding and it worked a treat!. 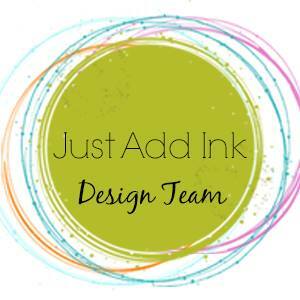 Hopefully you can join us this week and share your creations, don't forget you can keep updated with what's happening at Just Add Ink by following us on Facebook! 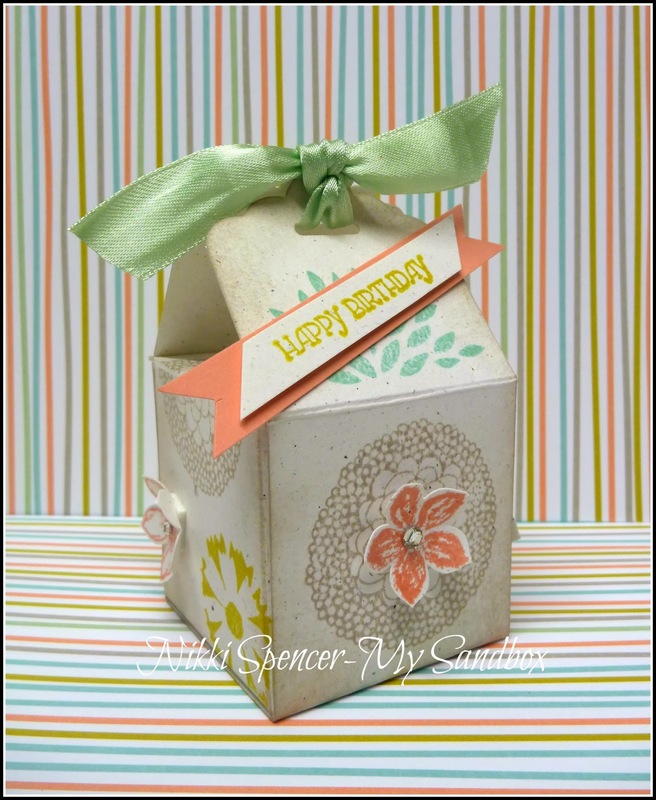 Good Morning!....I'm still having fun playing with the "Scalloped Tag Topper" punch and thought l would share a simple & cute little milk carton style box that l created with it and the "Petal Parade" SAB stamp set and some In-colours. 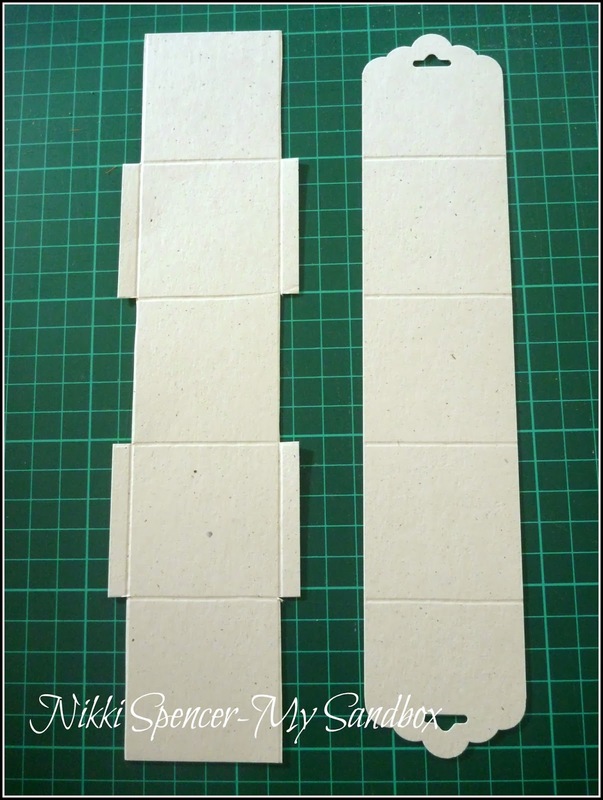 To create the box, l used two strips of Naturals White cardstock, the first piece was 2" X 10" and the second was 2-1/2" x 10". Both pieces were scored @ 2"-4"-6"-8". 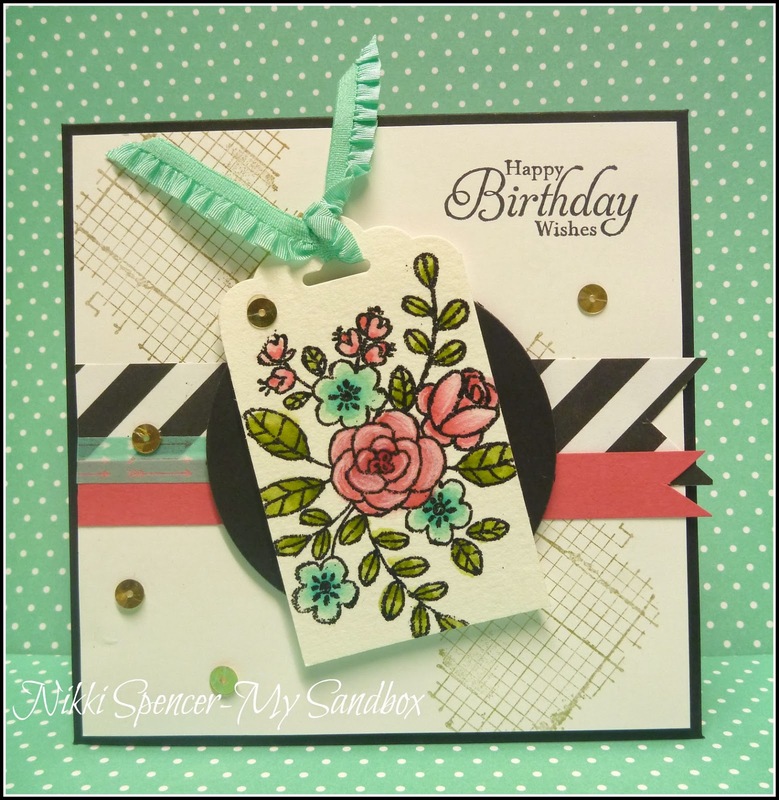 Evening!....I've been seeing so many fab and clever ideas using the "Scalloped Tag Topper" punch around lately and thought l would have a go at making one of the fun closure style cards that are all the rage. 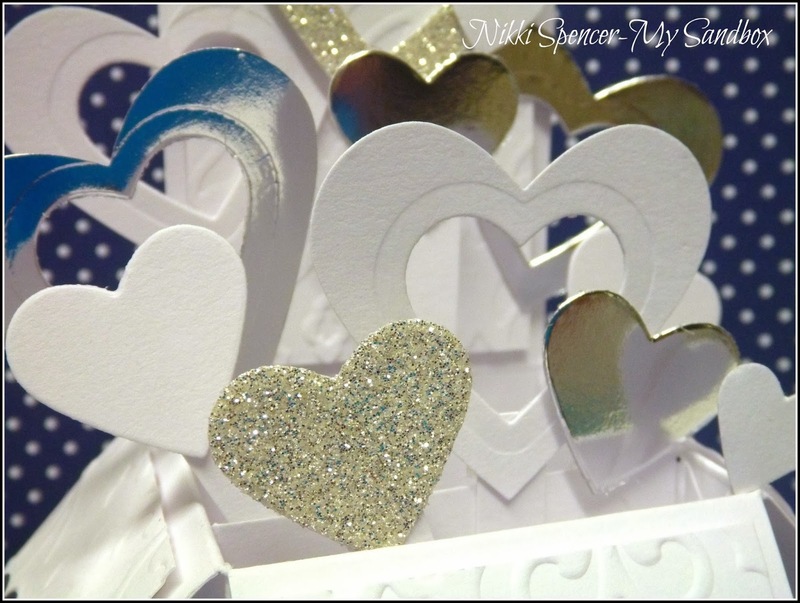 I don't know where this idea originated but I'm loving all of the variations that are popping up on pinterest and couldn't resist having a go. 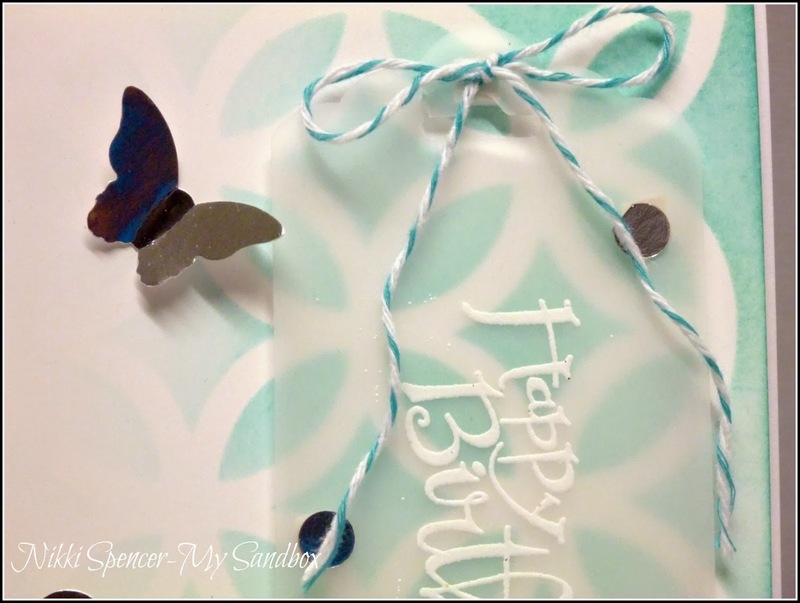 I took a rough guess at the way it was done and it worked just fine, l kept it simple and used the SAB designer paper called "Sweet Sorbet" to decorate, adding cardstock in coordinating colours and some lovely Summer Starfruit ribbon. 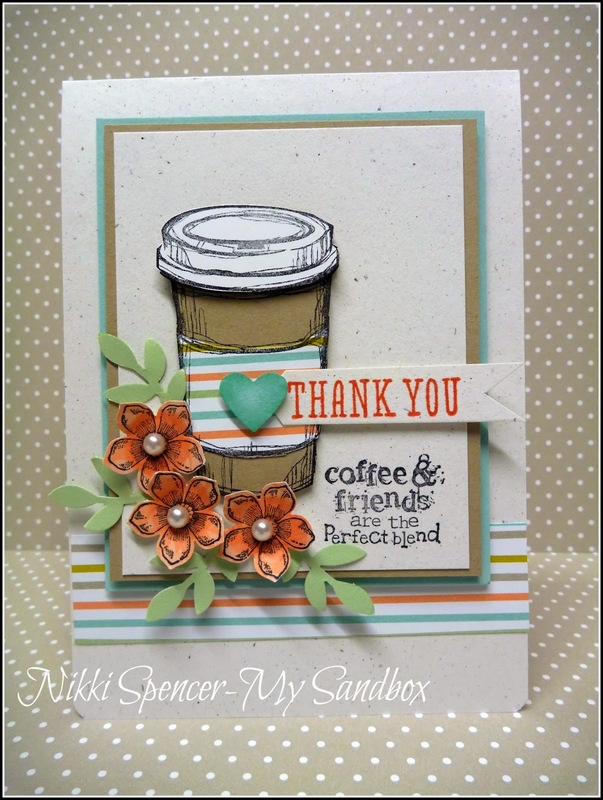 My card today uses the very cute "Perfect Blend" set from Stampin Up. 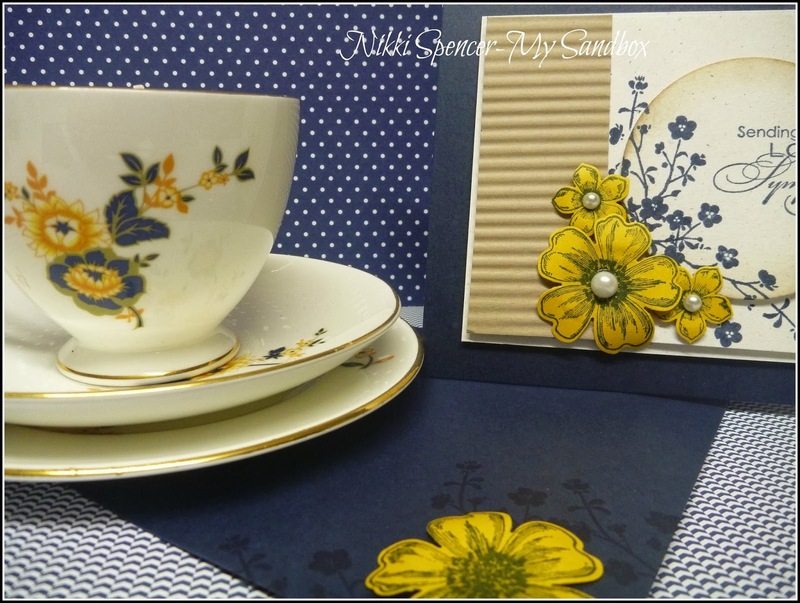 I've had it sitting on my desk waiting for some inspiration to strike for ages now and finally at some ungodly hour one night last week, l was inspired to play and this is the result. 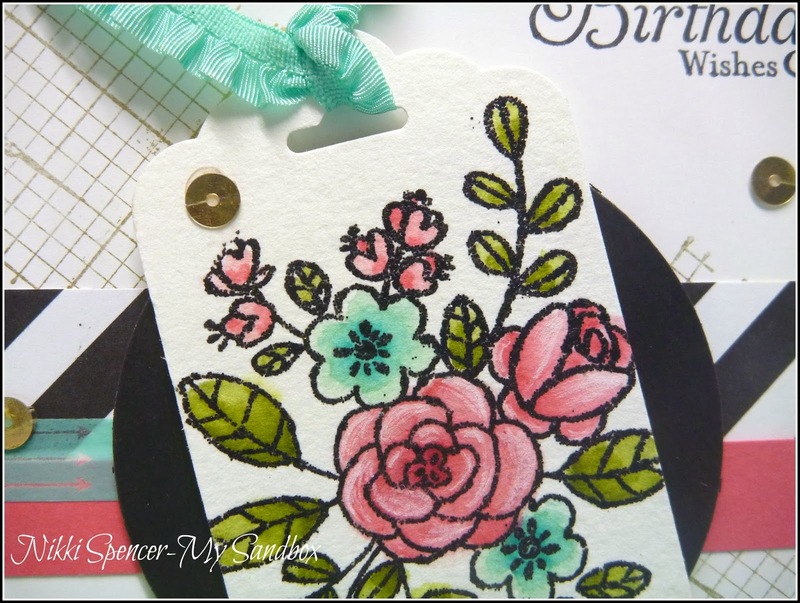 Just Add Ink #203.......Sketch Challenge!. 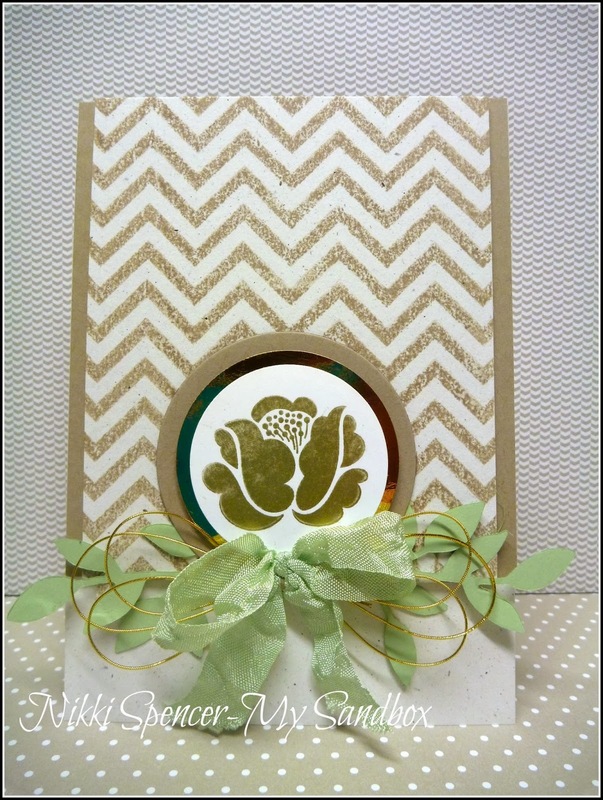 Hi there!...This weeks challenge sketch was provided by Paula and was just perfect for another technique from the "Stenciled class"....I created a mask type stencil from two "Lattice" die cuts made with window sheet and sponged with Coastal Cabana. 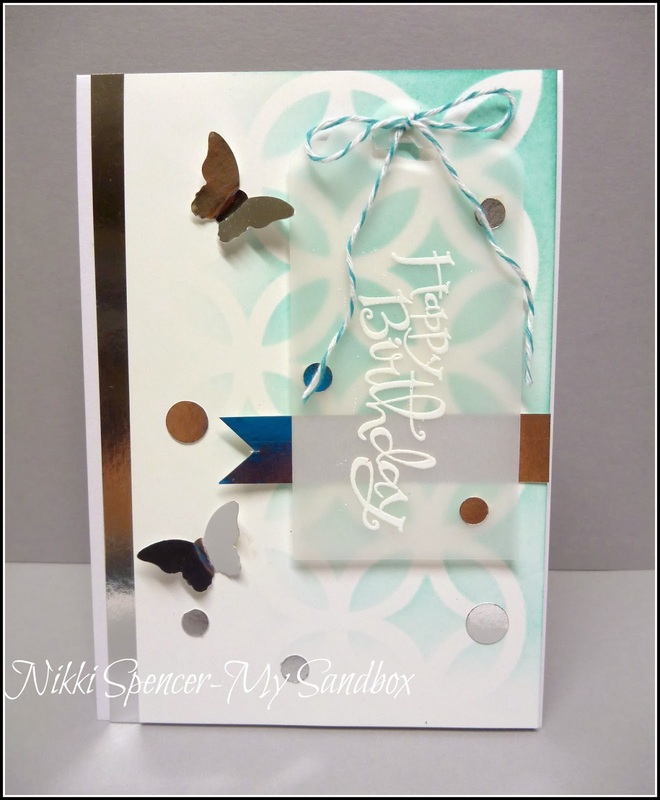 I flipped the sketch from Horizontal to Vertical and used vellum to create a tag with the Scalloped Tag Topper punch and some silver foil cardstock provided some nice shiny details. 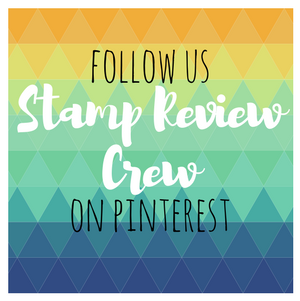 Heaps of inspiration for you over on the Just Add Ink challenge blog and you can keep updated and follow us on Facebook too! 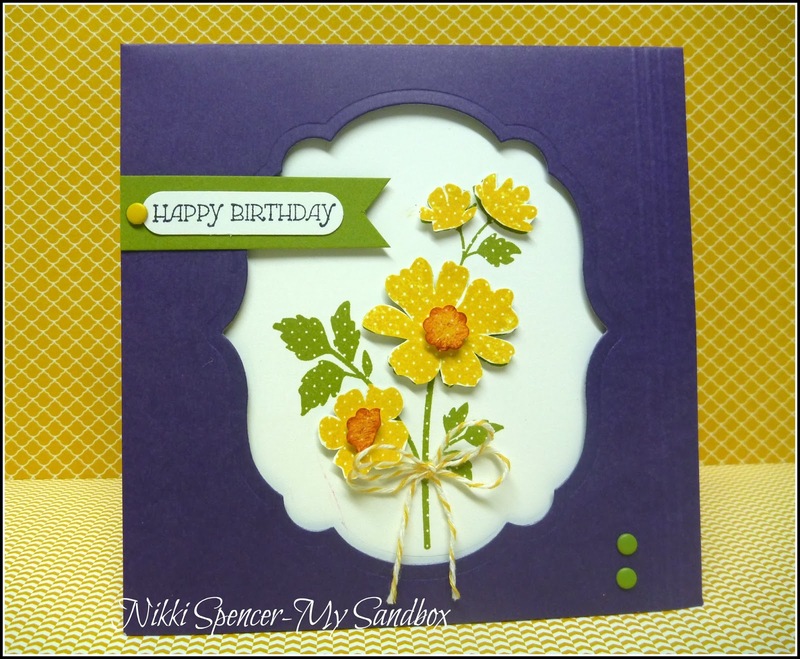 I wanted to make a birthday card for a friend who's favorite colour is Purple & she loves Yellow flowers....Although this is not what l'd envisioned when l started, it's still kinda sweet..:0) The colours l used are Elegant Eggplant, Crushed Curry & Old Olive. 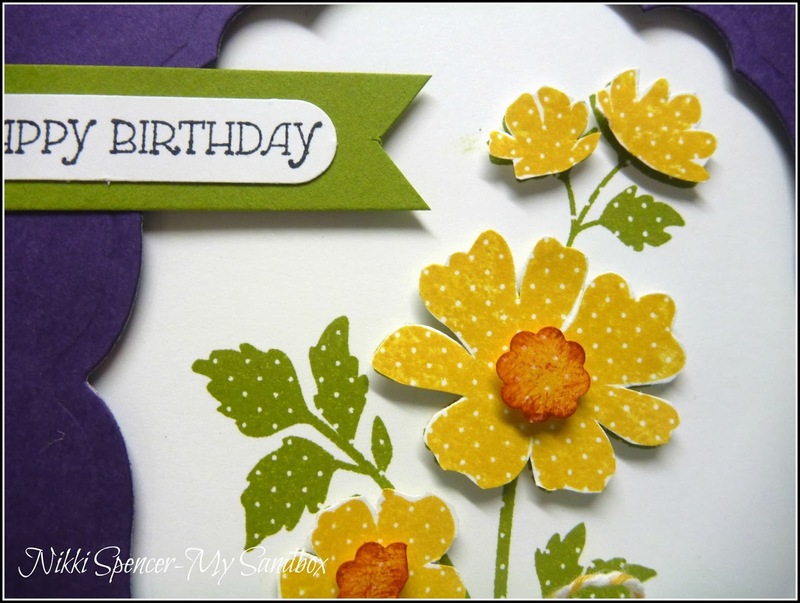 Short & sweet today, as l have a big to do list in prep for the mans 50th on the weekend and sitting on the PC is not achieving any of it..:0) Plus l have two of my cherubs coming for a sleepover tonight with nanny & poppy... Love my nanny time! 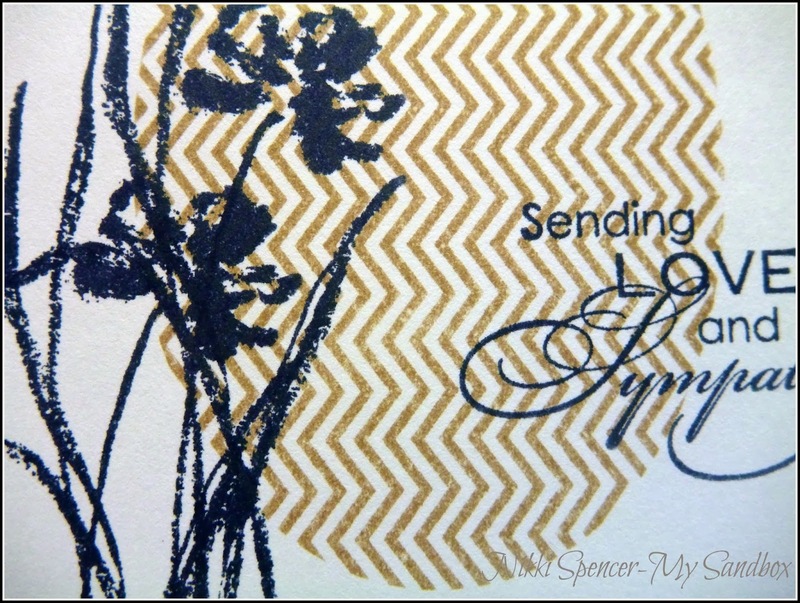 50th Birthday Wishes for the man! 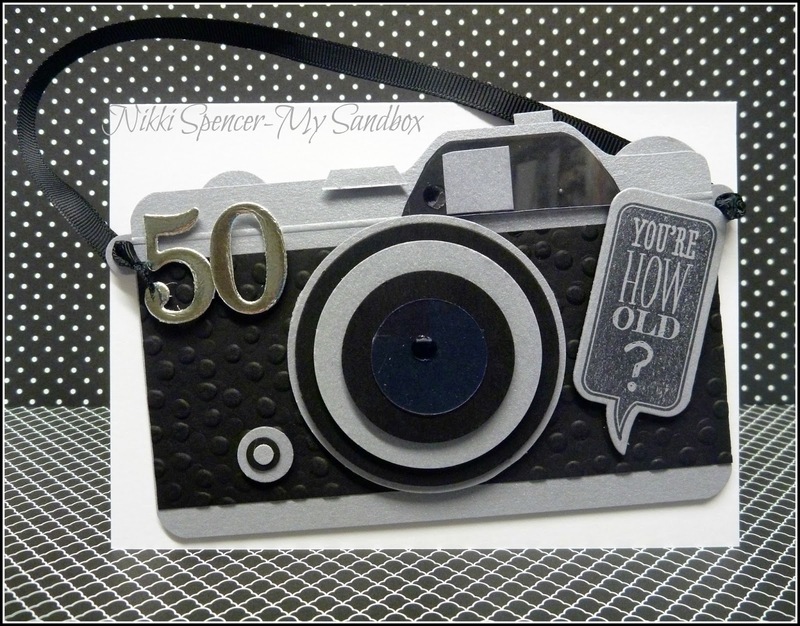 Morning!.....Today is my wonderful mans 50th Birthday and l thought l would share the card l made him! 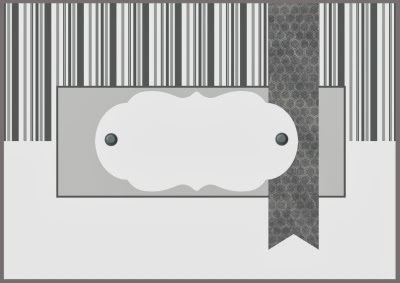 It was a toss up between two themes, Golf or Photography! Well as you can see the photography won out, it's one of his fave pastimes and he's actually pretty good at it..:0) Although me thinks he can stop with the sunset pics, seriously, we have a gazillion holiday beach sunset shots...I kid you not! 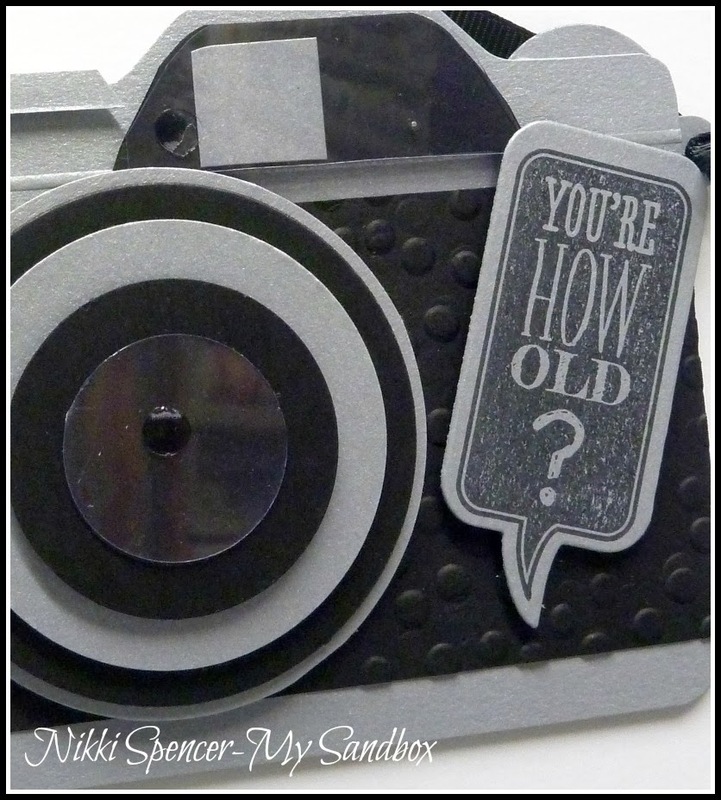 He loves old cameras, so l googled 1960's Olympus cameras and found one from the year he was born and copied it as best l could. 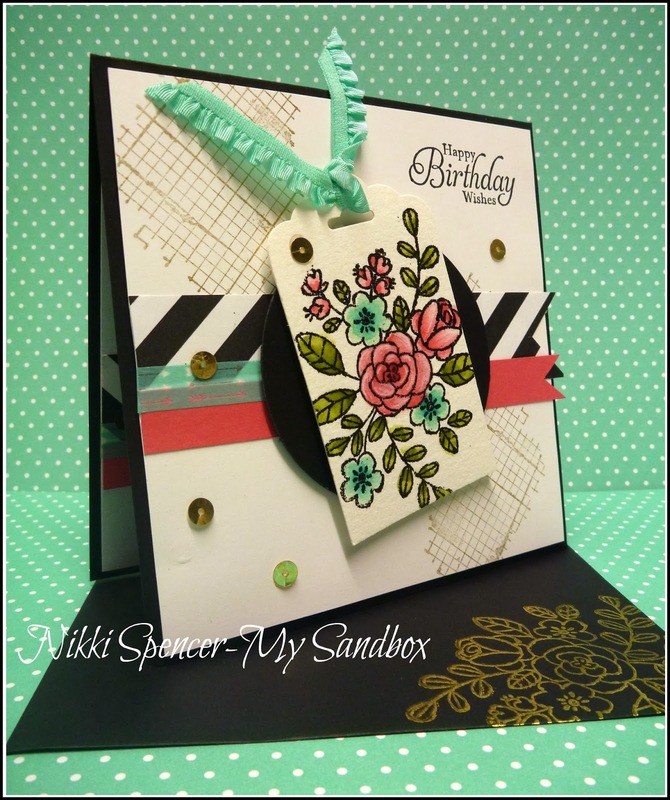 Using the Envelope Punch Board, various punches, the Circle Framelits and the super cute Just Sayin & Word Bubbles Framelits, this is what l came up with! 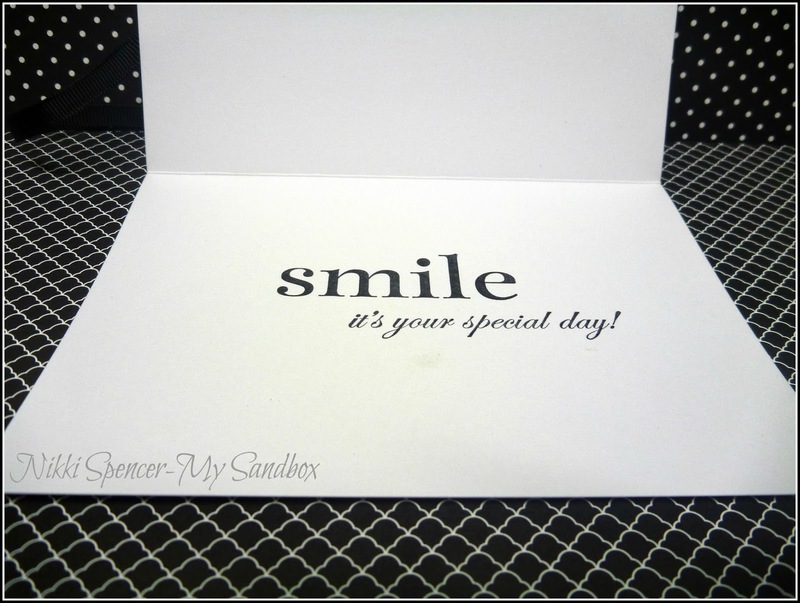 Happy Sunday everyone, l hope you are all enjoying a relaxing weekend! 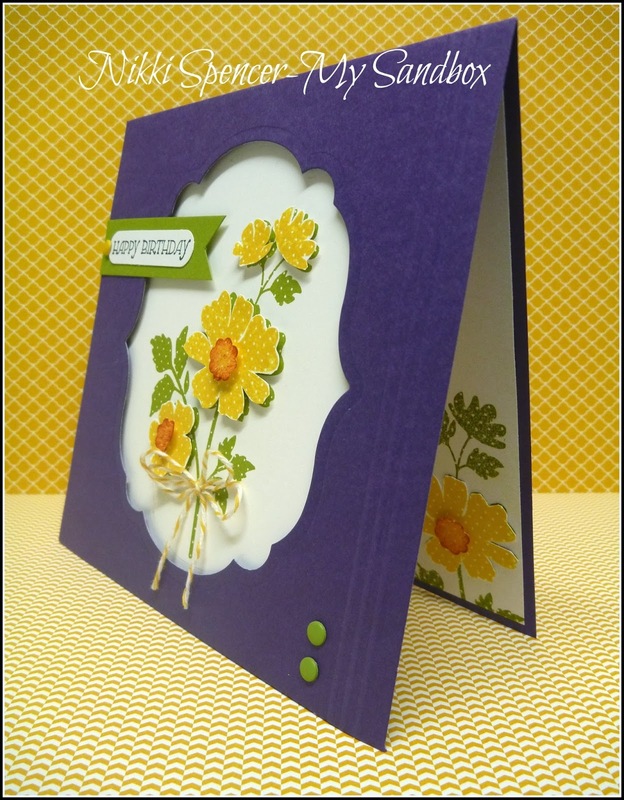 Today's card is the final share in my little sympathy card series and was so simple to create with the "Wildflower Meadow" and "Flower shop" Bundles. 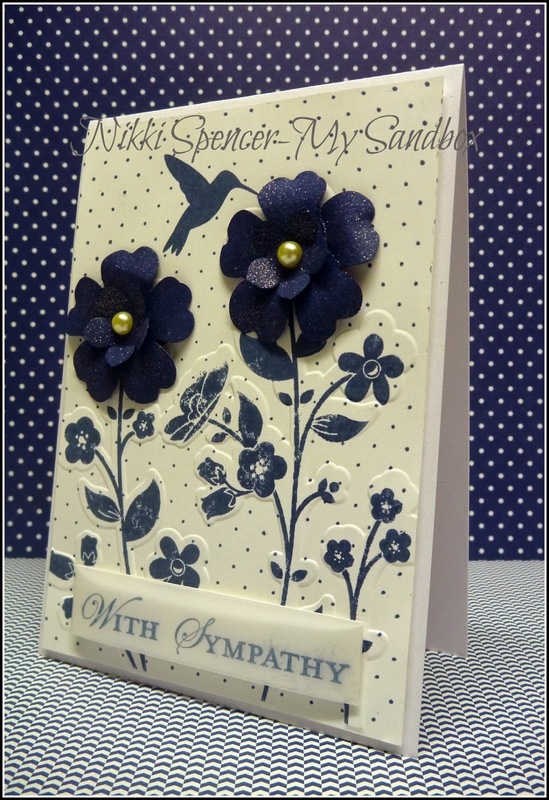 Good Morning!....I'm back to share another of the sympathy cards l mentioned in an earlier post. 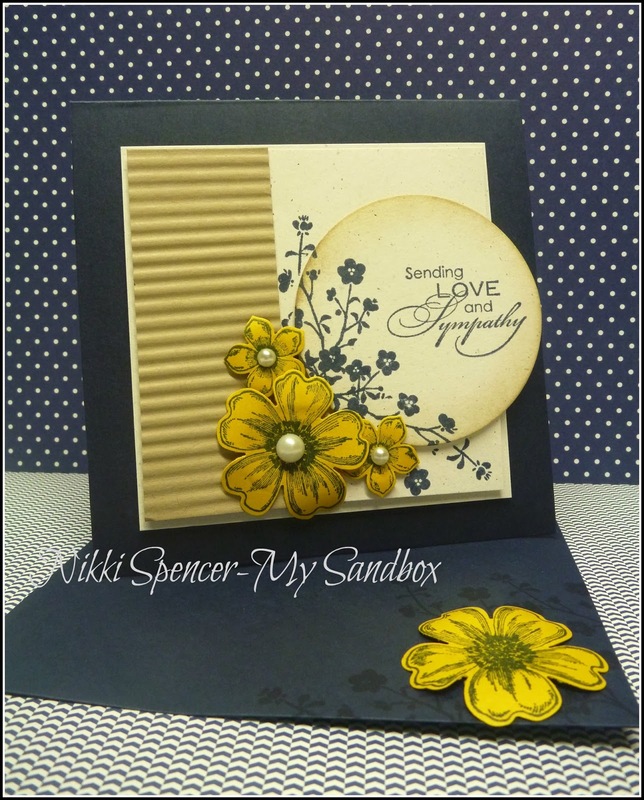 For this one I've combined the greeting from the "Love and Sympathy" set with "Morning Meadow" and the "Flower Shop" bundle and used Night of Navy & Crushed Curry with some naturals white cardstock. 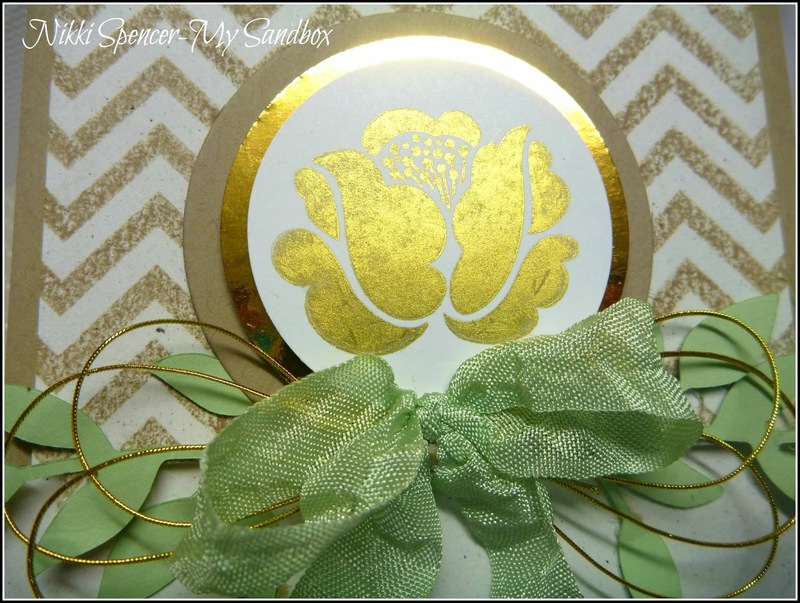 My inspiration for this came from a gorgeous Colclough soy candle trio my daughter made, the design of which has been drawing my eye for a couple of weeks and just begged to be incorporated into a card. 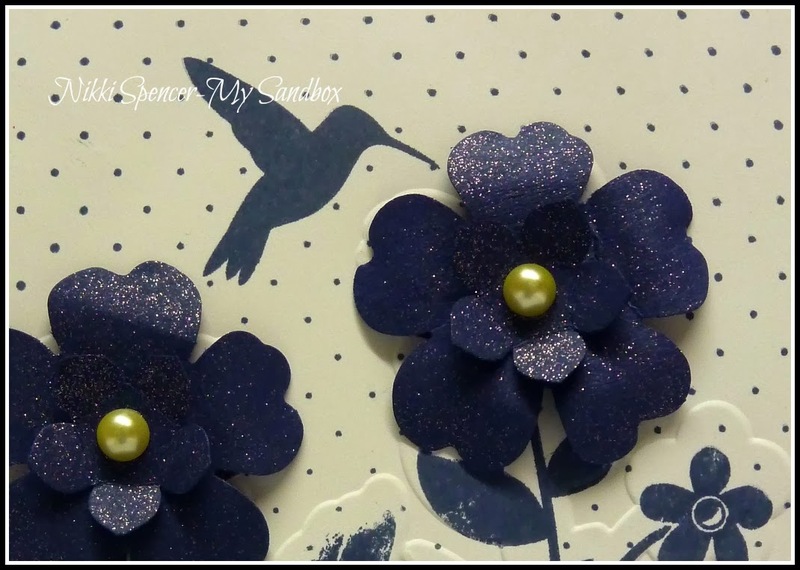 Of late l have been following the rule of complete finishing, meaning l continue the theme throughout the inside of my cards and also the envelopes...it's fun and just adds that little extra. 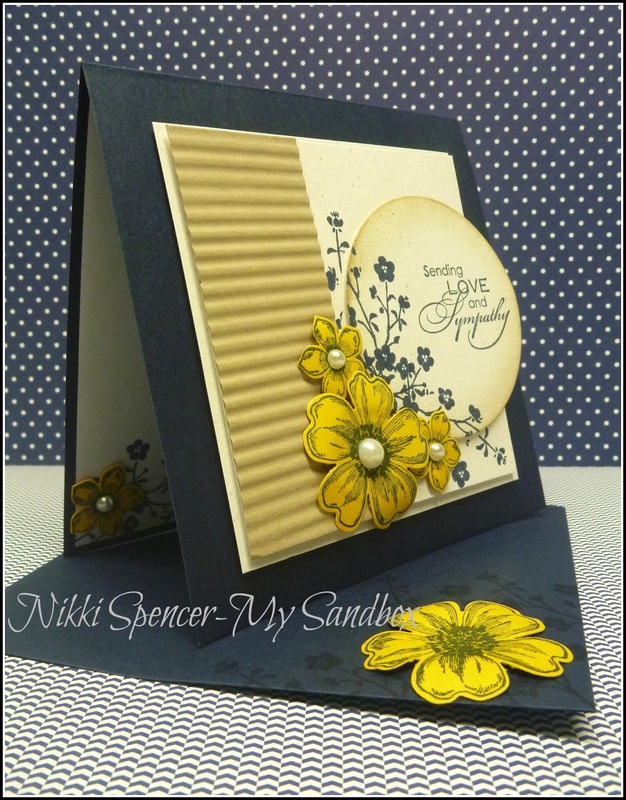 It's Just Add Ink time again and this weeks challenge is from Paula and she thought that we could "Just Add Stripes"...Simple and fun! 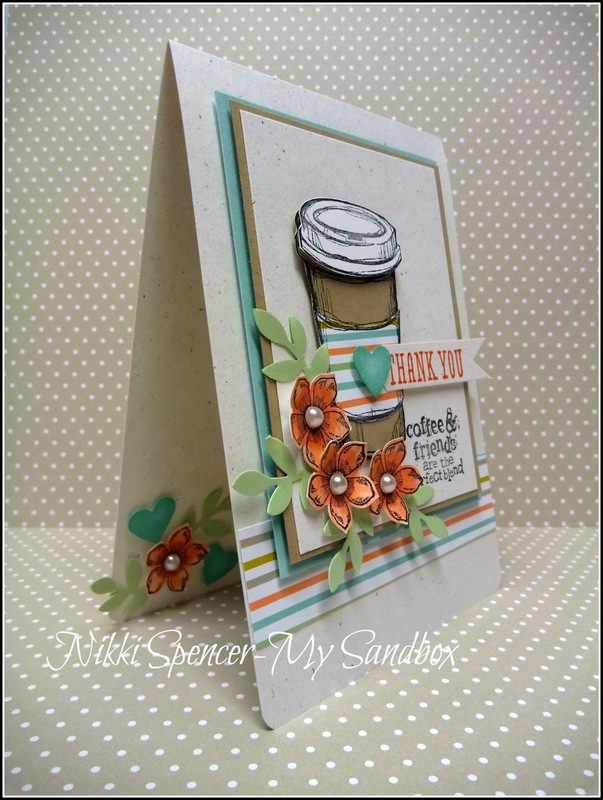 I kept my stripes to a minimum, but they are there and make a great contrast to the pretty watercolour tag created with Stampin Up's new "Scalloped Tag Topper" punch and the "So Grateful" stamp set. 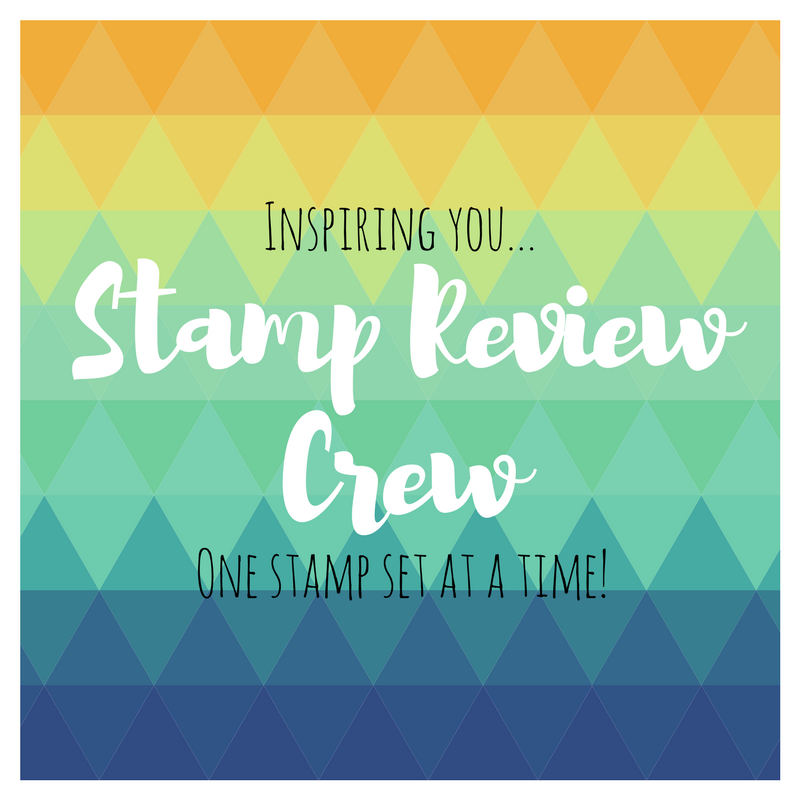 The design team have had lot's of fun adding stripes to their projects and would love you stop by their blogs and take a look, we hope you can join in the fun and play along too! 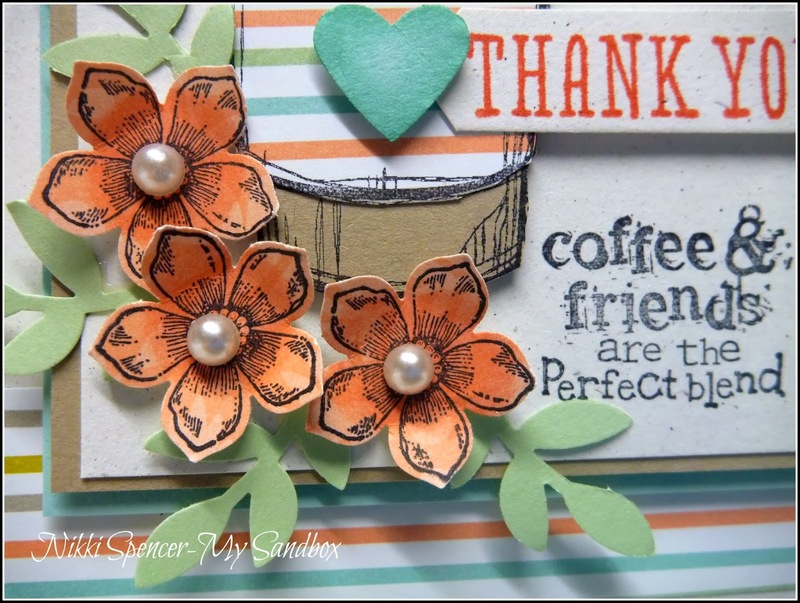 Happy day all!...Today l have a very CAS sympathy card to share. 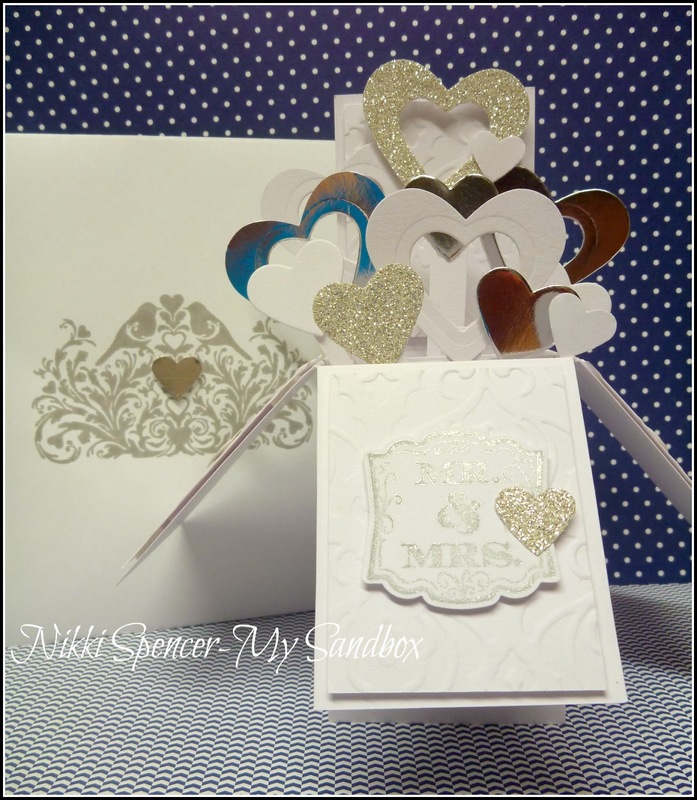 Someone mentioned recently that it's always good to have some on hand, as generally if you need one, you're not really in the frame of mind to make one, so l thought l would make a couple and hopefully l won't need them..:0), l will be sharing the others with you over the next few days! 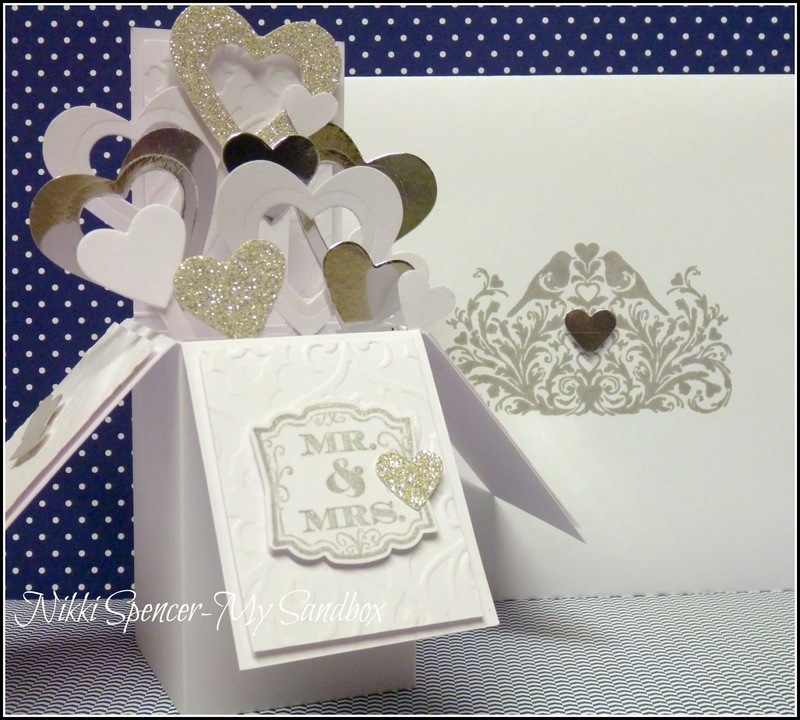 Card in a Box...Wedding Style! 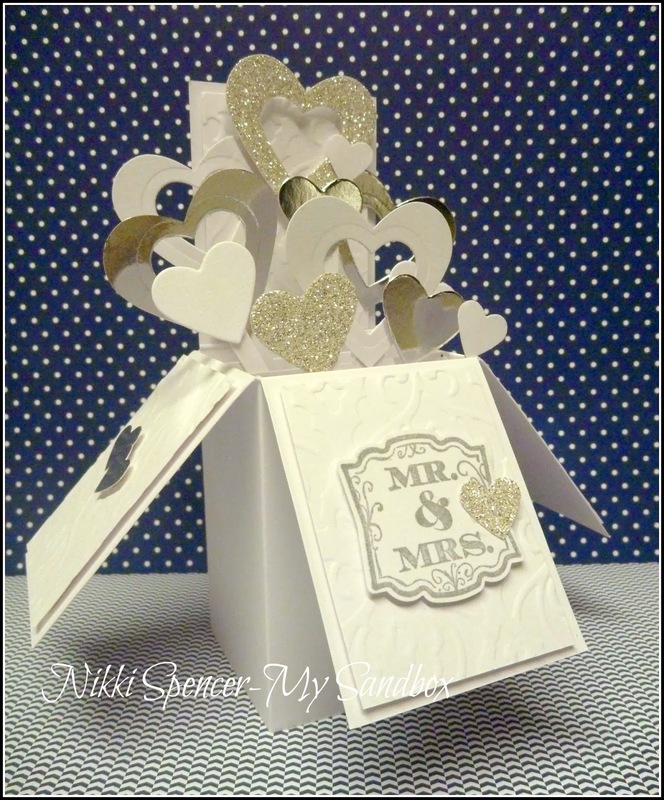 Afternoon peeps!....While planning and creating for some up coming DT submissions, l made one of these cute "Card in a Box" projects that are all over the net for one of them and l had so much fun, l thought l would have a go at a very clean "Wedding" version. The pics certainly don't do it justice, it's so sparkly and pretty IRL. 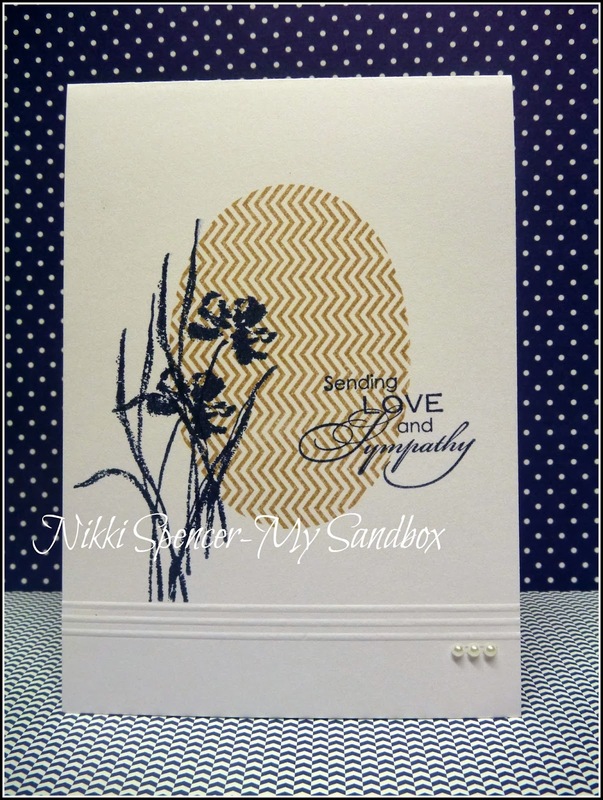 I deliberately placed my hearts to extend past the card edges for a fuller look, but when closed it meant using a standard size envelope wasn't going to work, so l created a custom size using the Envelope Punch Board.